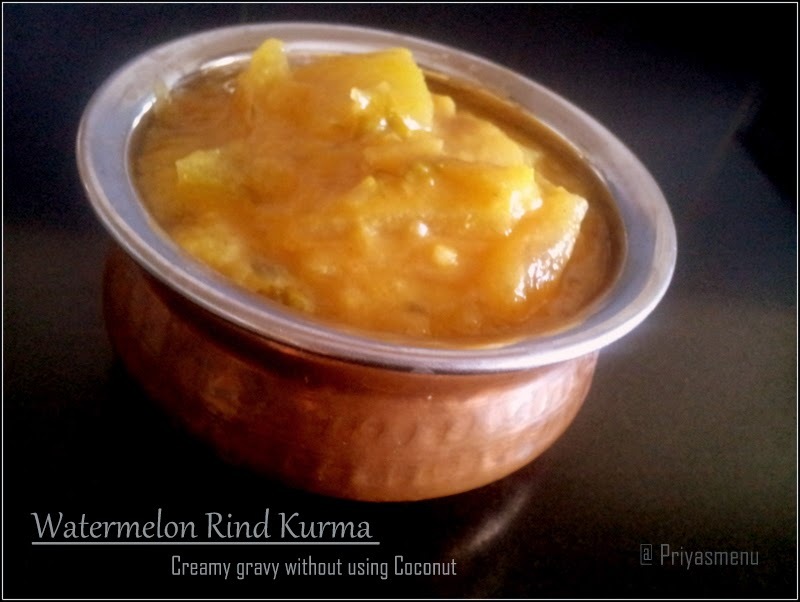 Have you ever tried adding watermelon rind in kurma ? 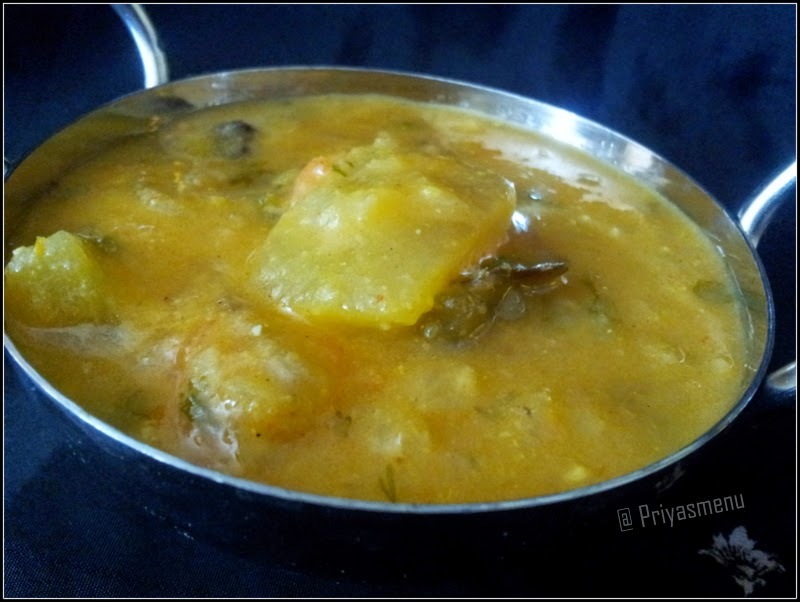 This recipe doesn't include chilli powder and the spiciness is from only green chillies. So, adjust the quantity of green chillies according to taste bud. Heat 2 Tbsp oil in a pan and add bay leaf followed by star anise, saunf and cinnamon. Add finely chopped onions and saute for a minute in a medium flame. Add ginger garlic paste and saute it for another minute or till the raw smell goes off. Meanwhile, grind tomato and green chillies into fine paste. Add it to the onion mixture and mix well. Now add Turmeric powder followed by salt and cook it for couple of minutes. ( For extra spicy, add 1/2-1 tsp chilli powder at this stage ). Add required amount of water and cook it for 15 minutes or till the rinds get cooked. Meanwhile, grind the ingredients given in "To grind" by adding little amount of water into fine paste. Once the rinds get cooked, add the ground paste and cook for couple of minutes. 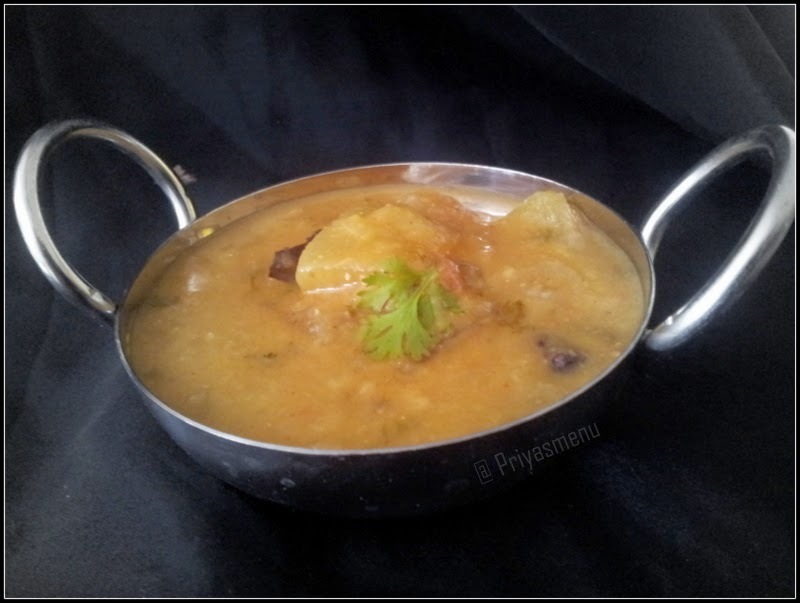 Adding roasted gram, thickens the kurma so, adjust water accordingly. Serve hot wit Rice or Roti. This kurma is new to me.Amazing.